Starting with the eyes I just start painting until I see what appears. It’s kinda like an owl hatchery around here right now. And the birds are calling loud now out in the trees behind my house. I have cardinals and they are the loudest and brightest birds I’ve ever seen. Cannot ever get a good picture though. Someone asked me recently what the fascination with owls is. I’m not really sure but they are very beautiful. I have spent a lot of time researching them and there are so many different looking owls. 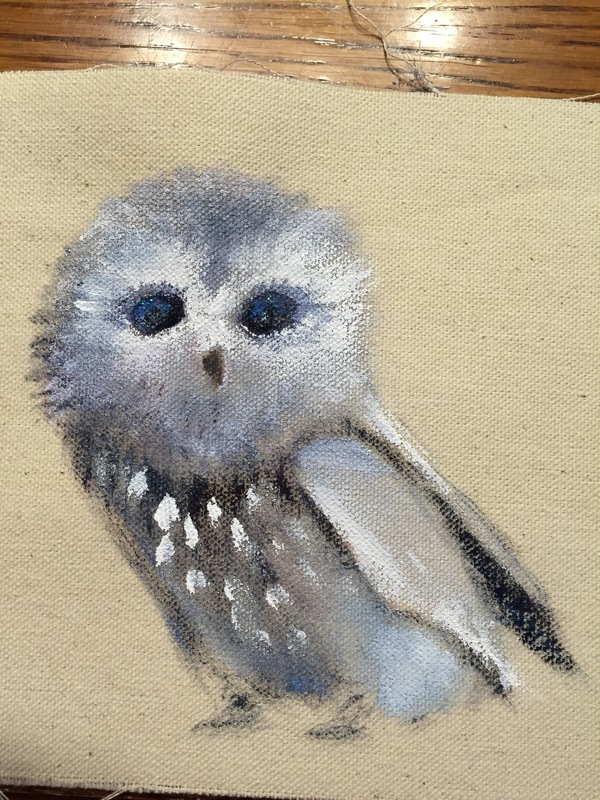 So I feel like I can paint them any way I want and there is one out there I think that must be that owl. Some owls look like they are smiling or have their heads turned upside down. 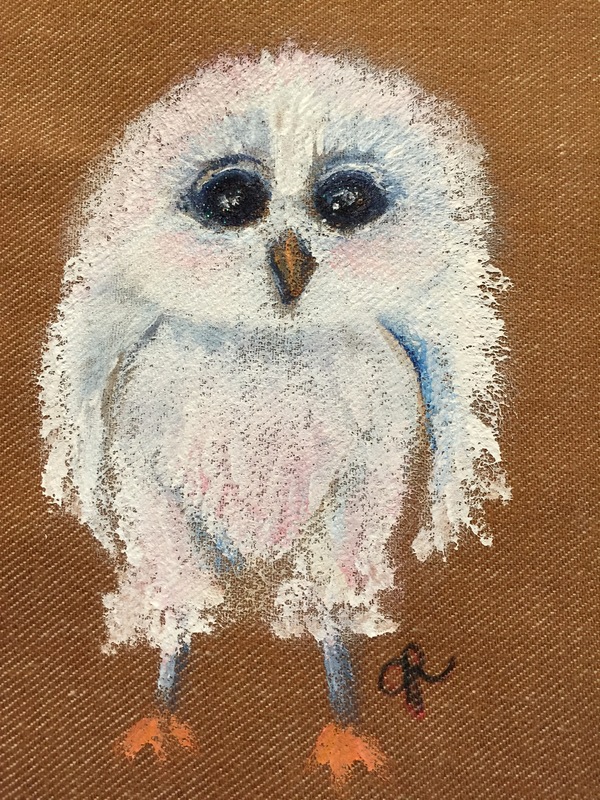 I especially like to paint the fuzzy owlets and put glitter in their eyes. Color me an artist. I guess.